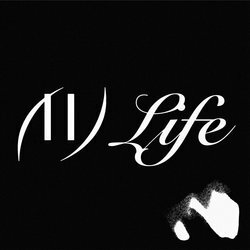 Astral People and Inertia are proud to announce the release of Moon Holiday’s second EP titled “II Life” and anticipate an incredible response from the solo artist’s forthcoming debut album, which is set for release in mid 2016. Moon Holiday, also known as Alexandra Ward can be recognised as a prominent contributor to the rapidly evolving Sydney electronic scene. Both supporting and hosting gigs throughout the country, Moon Holiday has established herself as a frontrunner within the Australian music sphere. While she displays a similar production skill set to her similarly talented peers, Moon’s dreamy, celestial voice coupled with evocative self-written lyrics undoubtedly sets her apart. Lead single from Moon Holiday's forthcoming EP titled "II Life"